Obituary – Lawrence Jr., Johnny Bernard « Perry High School Alumni Association, Inc.
Funeral will be at 1 p.m. Thursday, March 17, at St. Stephens Methodist church at Seventh and Park streets in Enid for Johnny B.Lawrence, 25, Enid, formerly of Perry. 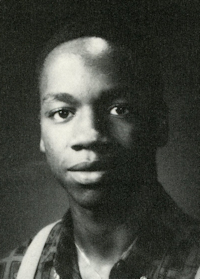 Lawrence died on Tuesday, March 8, 1994, near Piedmont. Rev. Willie Jenkins, Enid, will officiate. Arrangements will be under direction of Russworm Funeral home of Enid. Lawrence was born Jan. 12, 1969, at Fort Worth, Texas. He attended schools in Fort Worth and Enid prior to moving to Perry. 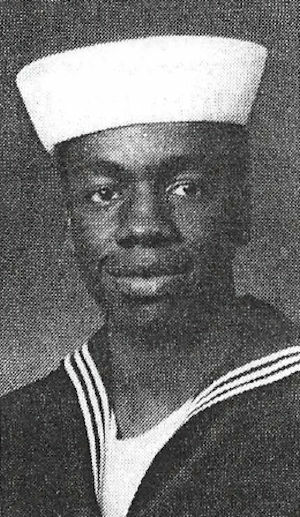 He was a 1987 graduate of Perry high school and later served four years with the United States Navy aboard the USS Eisenhower stationed at Norfolk, Va.
After his discharge from military service, Lawrence moved to West Palm Beach, Florida. He was employed for West Gate Sheet Metal in West Palm Beach before moving to Enid. Survivors include his wife, Natasha Lawrence, New York, New York; two children, Kendra Lawrence, Perry, and Jamir Lawrence, West Palm Beach; his father and stepmother, Johnny B.and Isabell Lawrence, Perry; his mother, Freddie Lawrence, of the Enid area; seven sisters, LeRedo and Dacia McClendon, Fort Worth, Texas, LaTonage Lawrence, Oklahoma City, ShuWanda Bennett, Shelli Smith and Akesha Lawrence, all of Perry, and Robin Drivers, Enid; three brothers, Fredrick Lawrence and Lance Drivers, both of Enid, and Ramon Gissandaner, Perry; his maternal great-grandmother, Alma Sanders, Fort Worth, Texas; step-grandparents, Eddie and Rachel Vester, Perry; and a number of nieces, nephews, cousins and friends.